The Ellicott City MD roofing process can be a difficult one. Choosing a contractor as well as the right styles and materials are all decisions that can add up to a very stressful day. At DryTech Roofing, we try to take the stress out of the process through our expert consultation service and our top-quality materials. We are the roofing company in Ellicott City MD that local residents have been turning to for more than a decade. It is not just the roofing process that DryTech Roofing is trying to better. We also offer high quality siding from James Hardie, as well as replacement windows and attic insulation from our other fine manufacturers. Our wide range of services make DryTech Roofing your one stop for more than just roofing, Ellicott City MD. DryTech Roofing is a GAF MasterElite Roofer, Ellicott City MD. 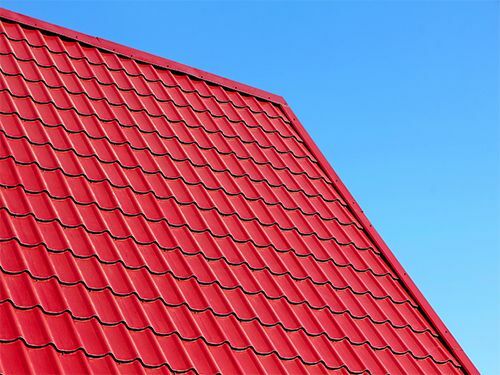 This allows us to provide our clients with their superior roofing materials as well as the deepest warranties available in the Ellicott City MD roofing market. DryTech Roofing has a BBB rating of A+, meaning we have a stellar record for excellence in customer service. Few other Ellicott City roofing companies can claim such a high rating. DryTech Roofing does not use subcontractors, which means your next Ellicott City MD roofing project will be performed by one of our highly skilled roofers, not someone we hired just for your job. DryTech Roofing is a fully licensed and insured roofer, Ellicott City MD. When you are choosing a roofing contractor, be sure to ask for proof of license and insurance, or you could be paying for costly workmanship mistakes down the line. Have an aging or leaking roof? Don’t want to keep climbing up there and patching cracks, just to have them reopen? Contact Drytech Roofing, Ellicott City MD, and leave the roofing to us. Call (240) 491-5600 for a FREE Estimate on your next Ellicott City MD roofing project!